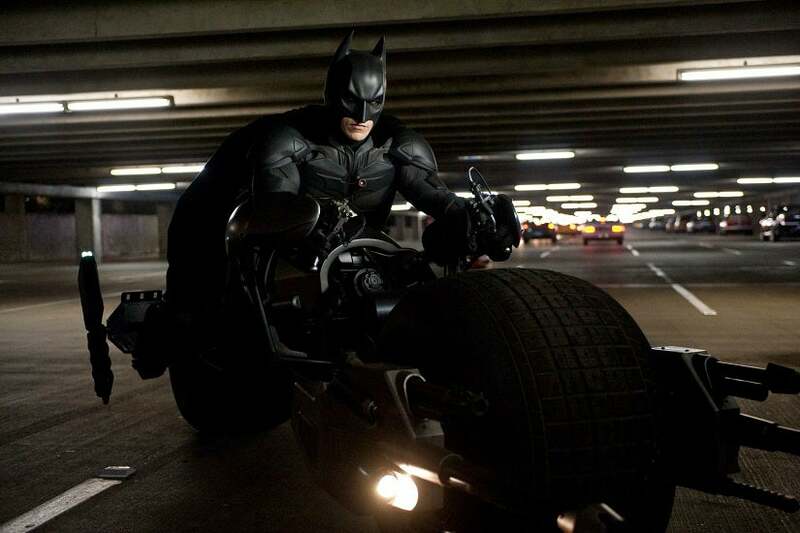 For a hero almost entirely defined by his aversion to firearms, Batman seems to bend his rule a lot: even the latest Batmobile has some huge cannons on the front. 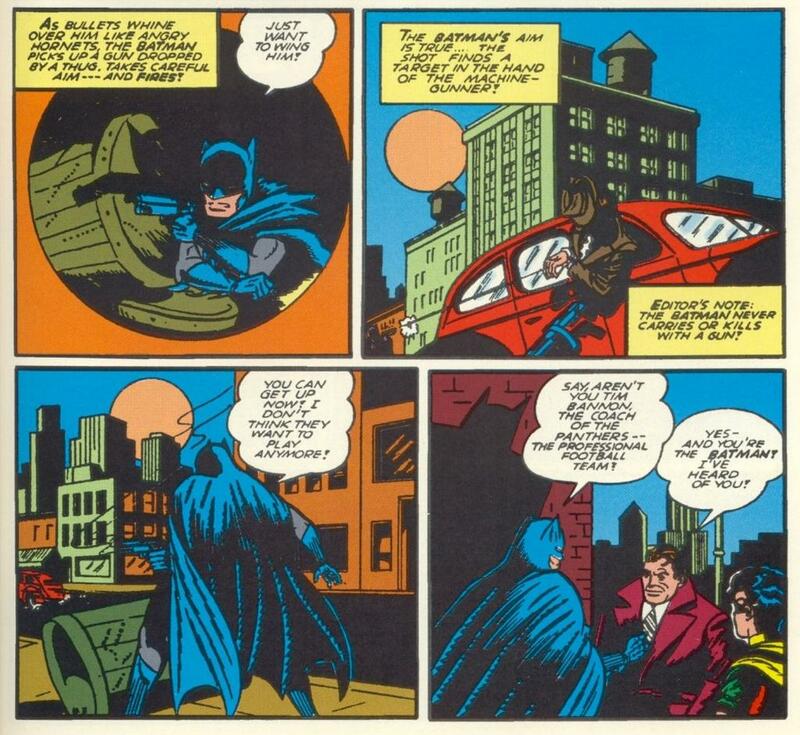 It's not the first time he's twisted it, and it won't be the last - but here's just a selection of times Batman has taken fancy to the weapon of the enemy. It's a well known comic book fact that in his earliest stories, the Batman was a very different character to the one we know and love today. 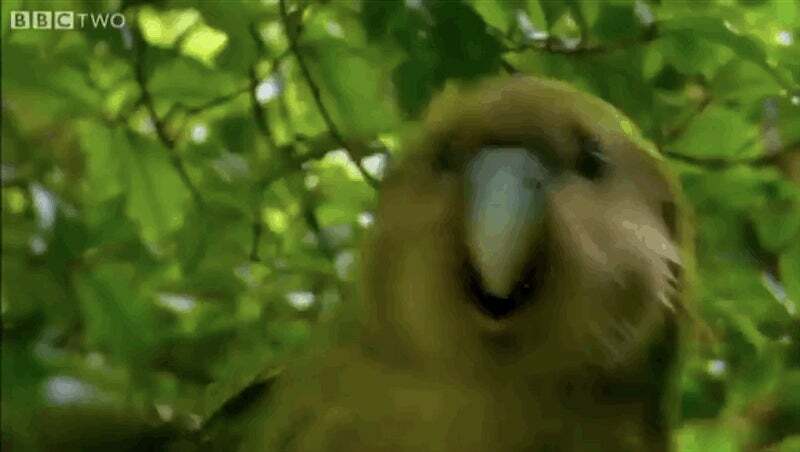 He was callous when it came his enemies, and wasn't afraid of killing them. He was also a trained sharpshooter as well, using either guns of his own or ones picked up from his foes, as tools of distraction or to kill or maim someone. 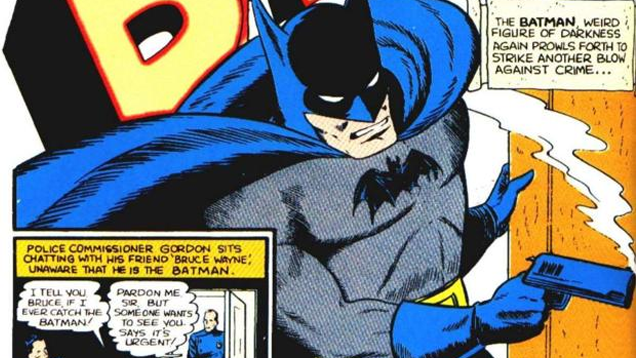 It's a remarkable antithesis to the Batman of today, the character Batman has been for almost his entire existence, which is why it's such a popular factoid. But it's also kind of a half-truth, which it's why it's at the top of this list. Batman as we really know him didn't really start to form until Detective Comics #33, which is when we first see Batman's defining moment, the murder of Thomas and Martha Wayne. Before that, Batman was basically another version of popular pulp icon The Shadow - and the use of guns wasn't really a Batman thing but an element picked up from The Shadow and other pulp heroes like him. It wouldn't take long after Detective Comics #33 for the character we know to begin to get developed, especially his strong stance on guns. So whilst it's the popular era to point to whenever you mention Batman and guns, it doesn't really count. That doesn't mean there aren't plenty other examples to choose from though. You'll notice a running theme in this list - whilst it's rarer for Batman to pick up a gun himself, he's definitely not afraid of slapping a bunch of them (and some even more explosive weaponry) on his many vehicles. Christian Bale's Dark Knight was certainly no exception to the rule. 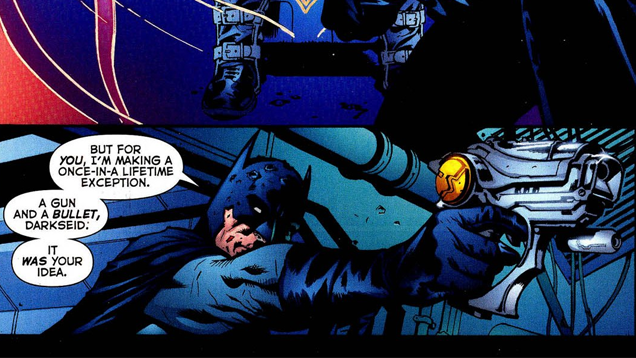 At times Batman is so defined by his refusal to use guns, writers can't help but play with the idea of the character falling so low he picks up a gun with the intent to kill - and s ometimes, those ideas give us completely bizarre and dumb scenarios like Batman: Year Two. Written by Mike Barr, Year Two sees Batman face off against another Gotham Vigilante, The Reaper - who unlike himself, isn't hesitant to murder criminals and use firearms. 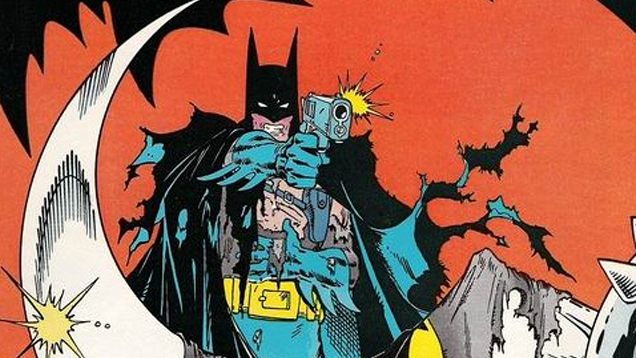 After facing off against The Reaper and barely making it out alive, Batman comes to believe that the only way to beat the vigilante is to break his code and get a gun of his own, so he collects a Handgun from Wayne Manor. Not just any handgun though, the actual pistol used to kill his parents. It gets more absurd! After having made an enemy of Commissioner Gordon, Batman teams up with Gotham's criminal elite to take down The Reaper once and for all - and being a bunch of criminal arseholes, they decide that Batman has to work together with Joe Chill, the thug who murdered his parents (!?!?). Batman plans to engage in a bit of dramatic irony and murder Chill with the handgun after dispatching the Reaper. It doesn't work out that way however - The Reaper kills Chill before Batman can, and the two engage in a brawl that ends with The Reaper falling to his death (did I mention The Reaper also happened to be the father of the woman Batman gets engaged to in this story, too? AS IF THERE WASN'T ENOUGH GOING ON), and Bruce decides to build the gun into the cornerstone of the Wayne Foundation, so it can never be used again. Comic Books! Here's another bit of a curveball, one that's so fourth-wall breaking it threatens to reach out and slap you in the face. The final ever episode of the dearly missed Batman: The Brave and The Bold saw the omnipotent fifth-dimensional being Bat-Mite try to get the show cancelled (like I said, fourth-wall breaking to the extreme) in place of a grittier, darker Batman cartoon. 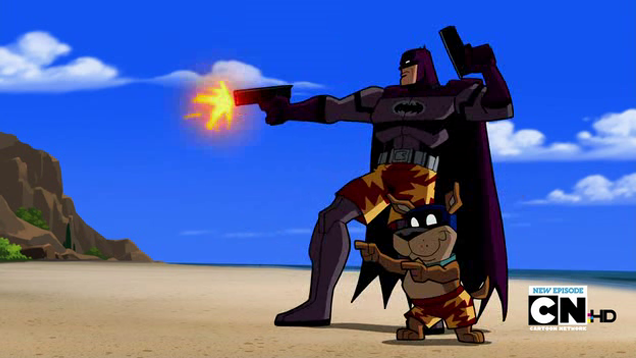 Bat-Mite tries a variety of methods to alter the show enough for viewers to switch off, finally culminating in him forcing Batman to break his cardinal rule by giving him two handguns. And also Scrappy Doo as a partner, but there you go. It's a pretty cool way of subverting the trope actually, considering it's being given the guns that makes Batman realise he'd never want to break his code (and thus foiling Bat-Mite's plans), but it just goes to show the interesting ways writers can use bending the rule to tell a good story. Another vehicle, another set of big guns and explosive weaponry (Do you think Batman has a clause in his no guns rule if he attaches them to a vehicle he happens to drive?). The 1989 Michel Keaton Batmobile comes fully equipped with two Browning Machine Guns, which whilst aren't shown being used against people, are used to shoot apart a door and blast away other debris. Although they're not guns, the Batmobile also comes equipped with some incredibly potent bombs - which pretty obviously obliterate the Joker's henchmen in this clip from near the end of the movie when Batman destroys the Axis Chemicals plant, controlling the Batmobile via remote. So he doesn't use the guns lethally, but so much for not killing your foes, huh Batman? Once again, the Batman of the comic books picks up a gun - but unlike Year Two, Final Crisis is a lot less bizarre (even if it is all about the destruction of reality itself, and features Barack Obama as an alt-verse Superman. Once again, Comic books!). In order to defeat Darkseid before he consumes all reality, Batman breaks his own code and plans to shoot the god with a bullet made of Radion - a material fatal to the New Gods - to save the day, sacrificing himself in the process. Although it's a mortal wound, and batman does pull the trigger, in true Batman style he doesn't shoot to kill Darkseid instantly: He hits him in the shoulder, ensuring Darkseid's death but not out right killing him. 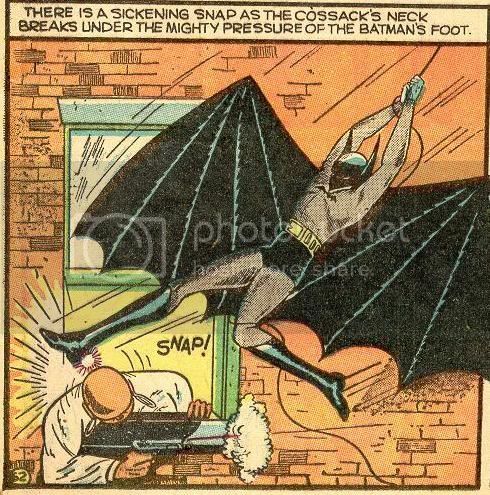 Even in his last moments in the story, Batman bends his no-guns rule to make an exception. 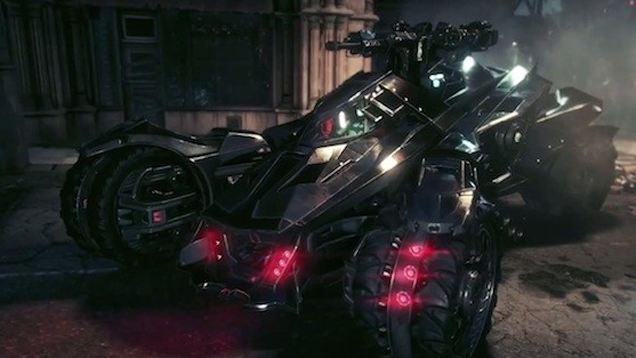 OK, so this one hasn't taken place yet, but the new Batmobile for Rocksteady's upcoming Batman game is so patently ridiculous when it comes to weaponry, I can't help but include it. The damn thing has a separate battle mode that turns it into a Tank. The new Batmobile features a 60mm Cannon, a Vulcan Gun, Anti-Vehicle rockets, and, presumably to soothe Batman's conscience, a stun gun. One out of four isn't too bad. 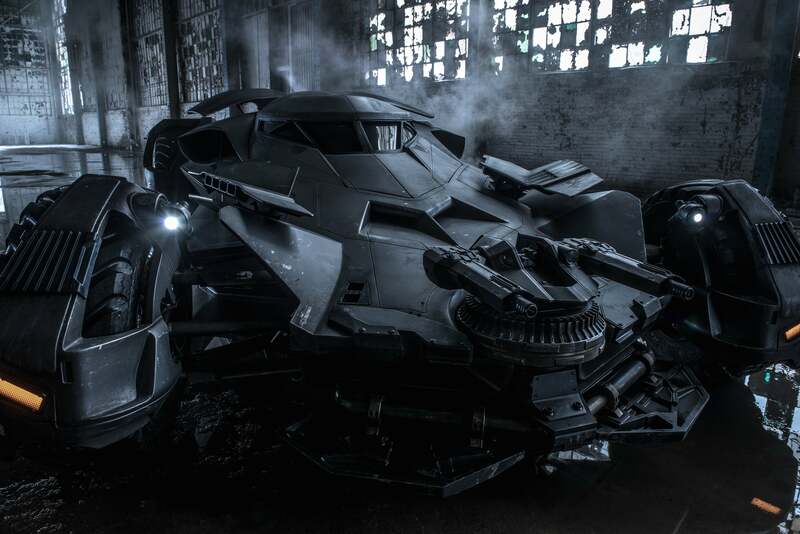 If you thought Batman V. Superman's Batmobile looked souped up, this one's something else.